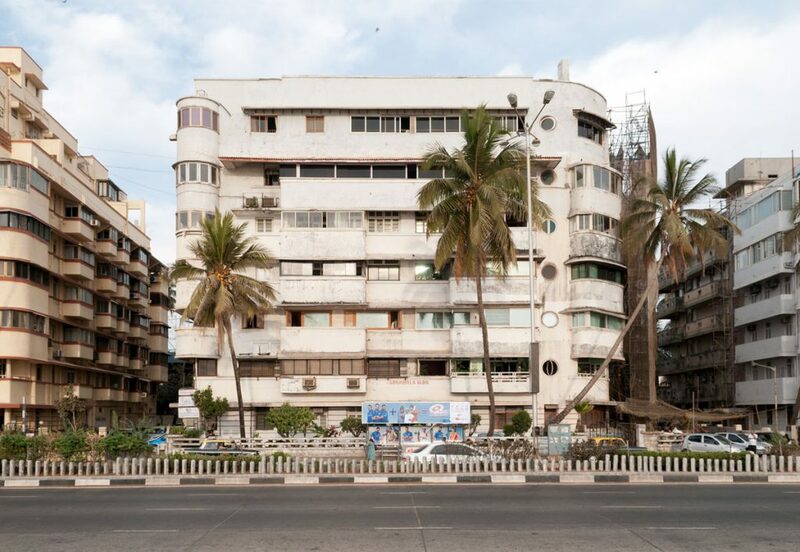 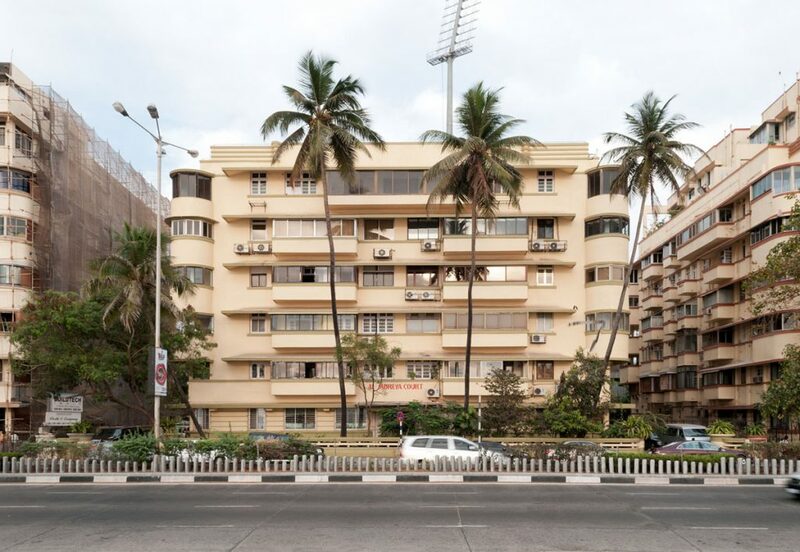 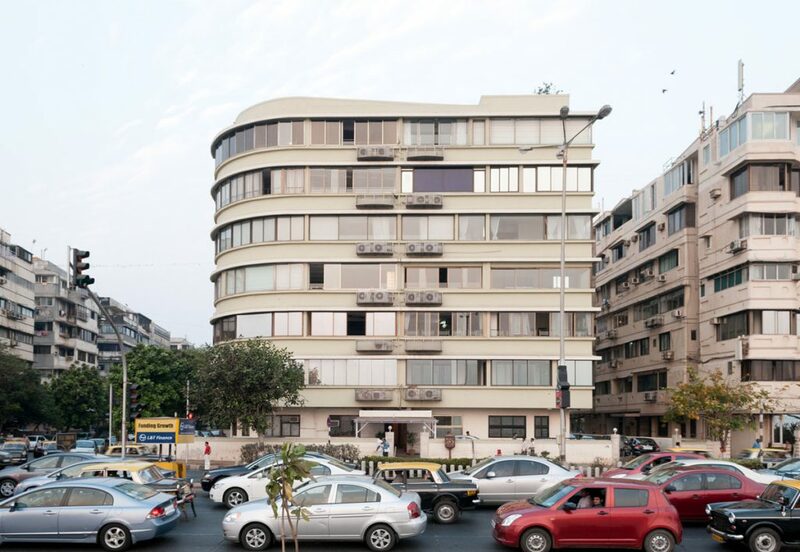 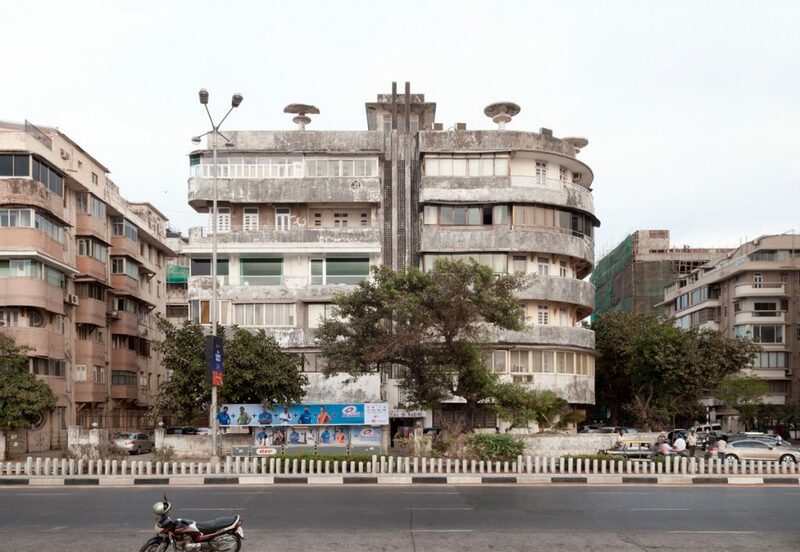 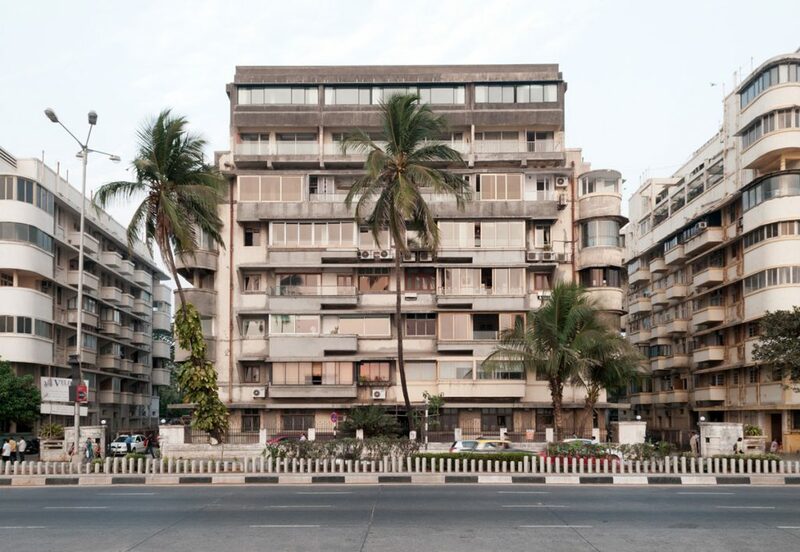 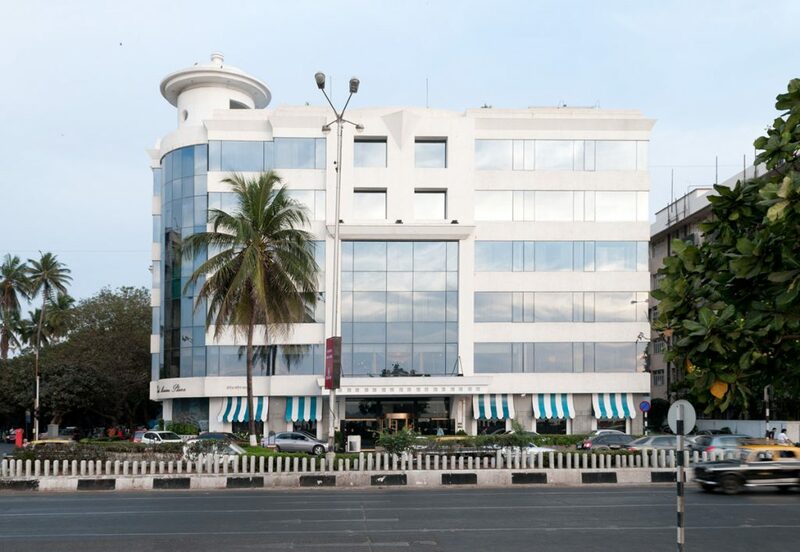 The architectural ensemble of Marine Drive was built in the 1930s as one of the largest collections of Art Deco buildings in the world. 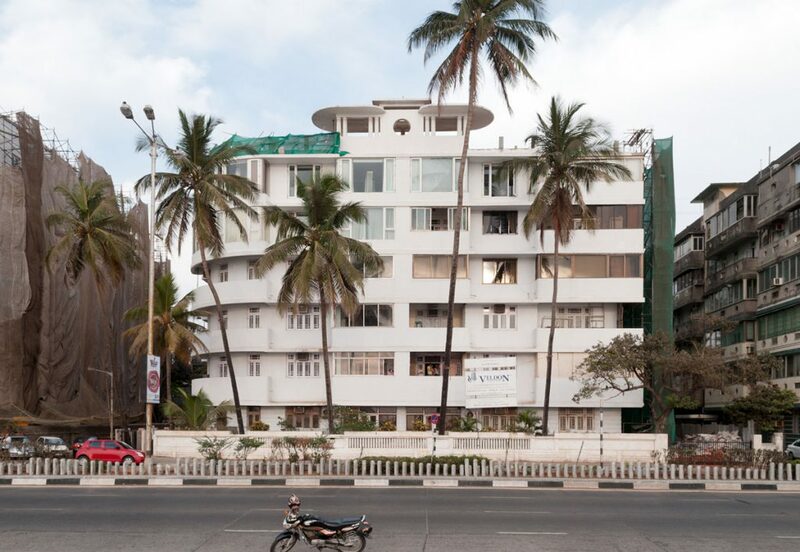 The Art Deco style was the formulated expression of a newly emerging Indian elite implicitly rejecting the architectural ethos of the grand Gothic and Indo-Saracenic imperial buildings. 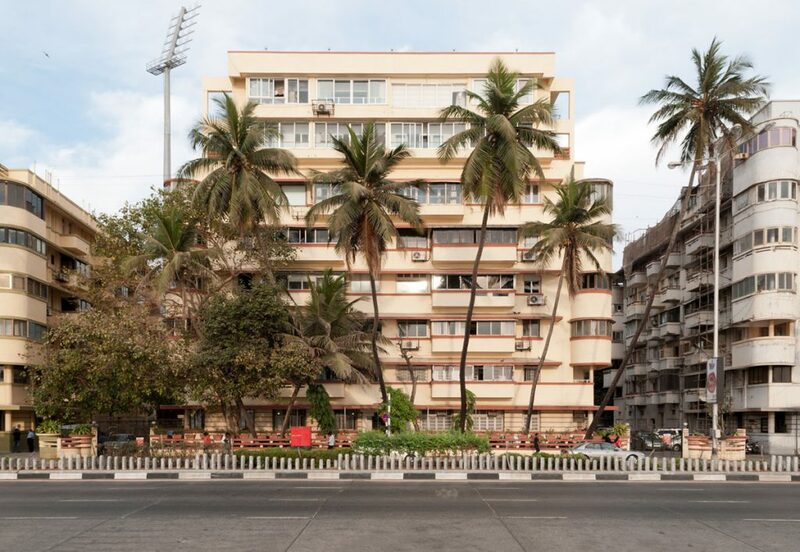 The ensemble is well protected and highly endangered in the same moment. 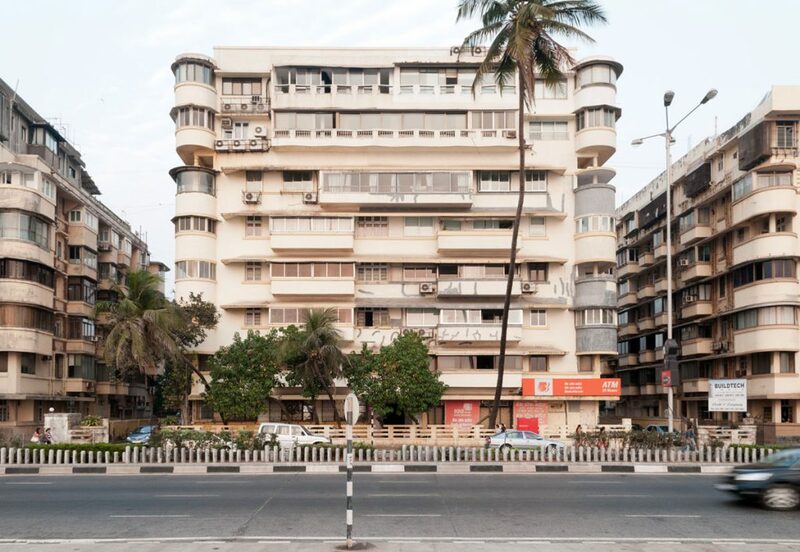 Faced to the sea and well located in the greater area, Marine Drive was and still is a preferred liberal quarter in Mumbai with a high investment pressure. 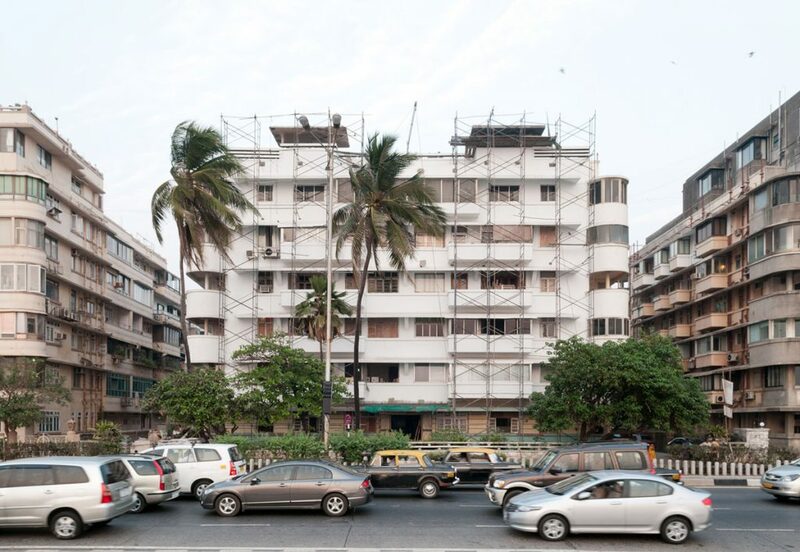 The Bombay Rent Control Act, passed in 1947, froze some rents at a low level and thus impedes refurbishment, renovation or even painting of the buildings. 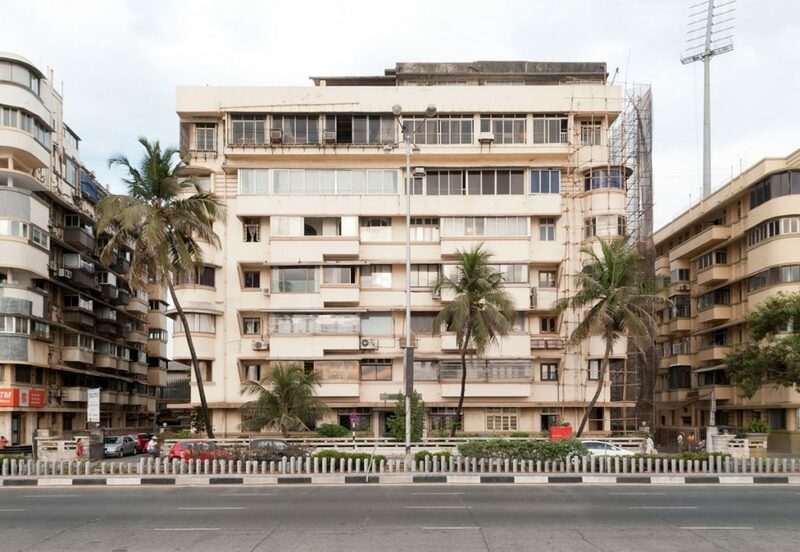 Nowadays the ensemble at Marine Drive is strictly monitored by the World Heritage Committee. 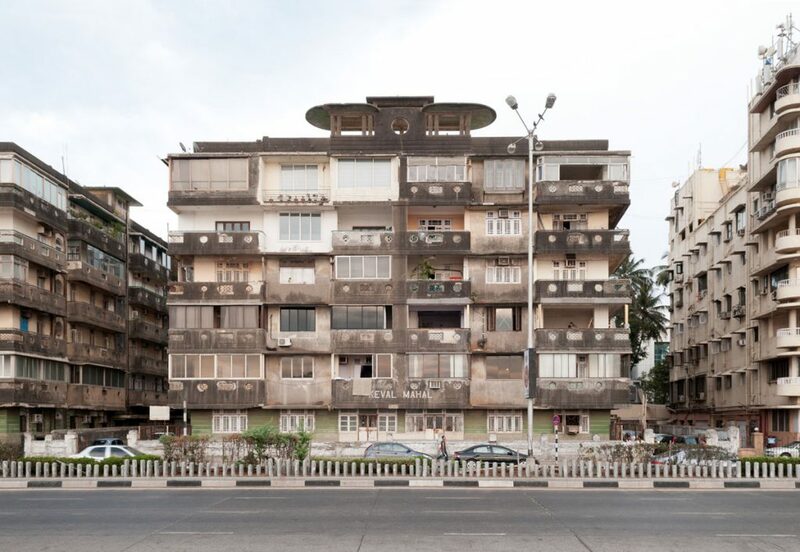 Visibility of production conditions of space. 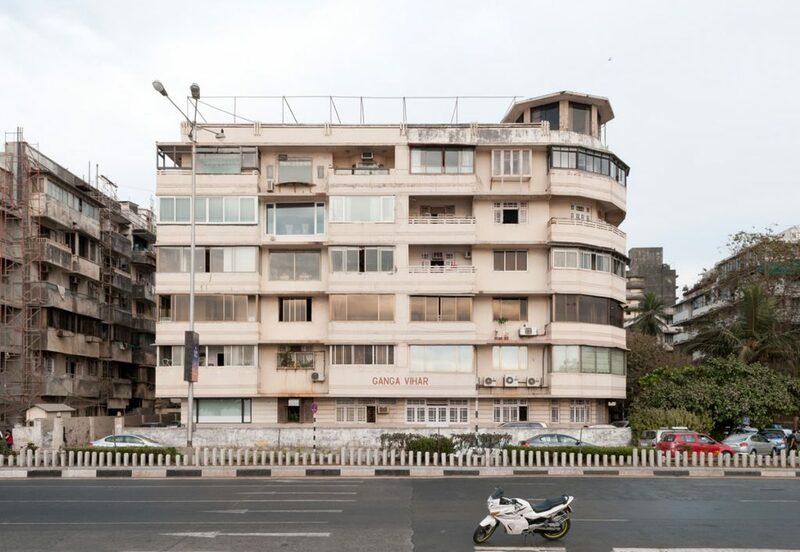 Architectural photography. 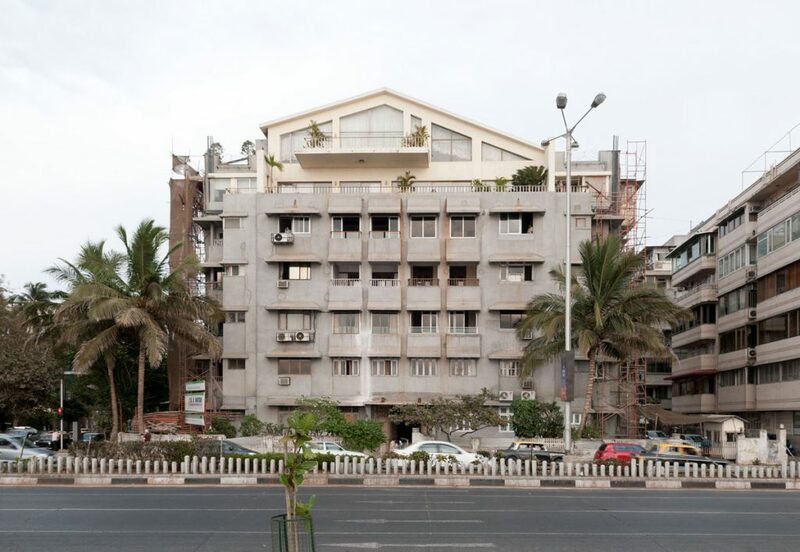 The known view is the view with the buildings in the back faced to the sea.